Lounger Dimensions: 74Lx25Wx13H. Lounger Seat Dimensions: 42Dx26Wx13H. Side Table Dimensions: 19Lx19Wx16H. Relax while you stretch out or sit upright on this flexible and comfortable lounging recliner from CorLiving. The sleek lines and powder coated steel frame of the PJR-369-R create an elegant look while the ultra durable fabric surface provides ideal comfort for any outdoor patio. Expertly constructed to withstand a range of climates and is UV resistant which prevents discoloration or sun damage. Relax while you stretch out or sit upright on this flexible and comfortable lounging recliner from CorLiving. The sleek lines and powder coated steel frame of the PJR-359-R create an elegant look while the ultra durable fabric surface provides ideal comfort for any outdoor patio. Expertly constructed to withstand a range of climates and is UV resistant which prevents discoloration or sun damage. Relax in the cozy CorLiving Park Terrace Collection this summer. Our textured black resin rattan weave is complimented by high quality, weather resistant foam seat cushions wrapped in zippered and washable teal covers. Sit comfortably on the armless chair or stretch out with your feet up on the matching ottoman. Ready to use upon delivery, you can complete your summer with this comfortable patio set from CorLiving. Design the outdoors with this contemporary square lounger patio set by CorLiving. Featured in our textured black weave and accented with red woven cushions this versatile set is perfect for all of your summer poolside lounging. Made with UV resistant resin rattan wicker, water repellent cushions and a durable steel frame this product is ready to withstand the elements of the outdoors. 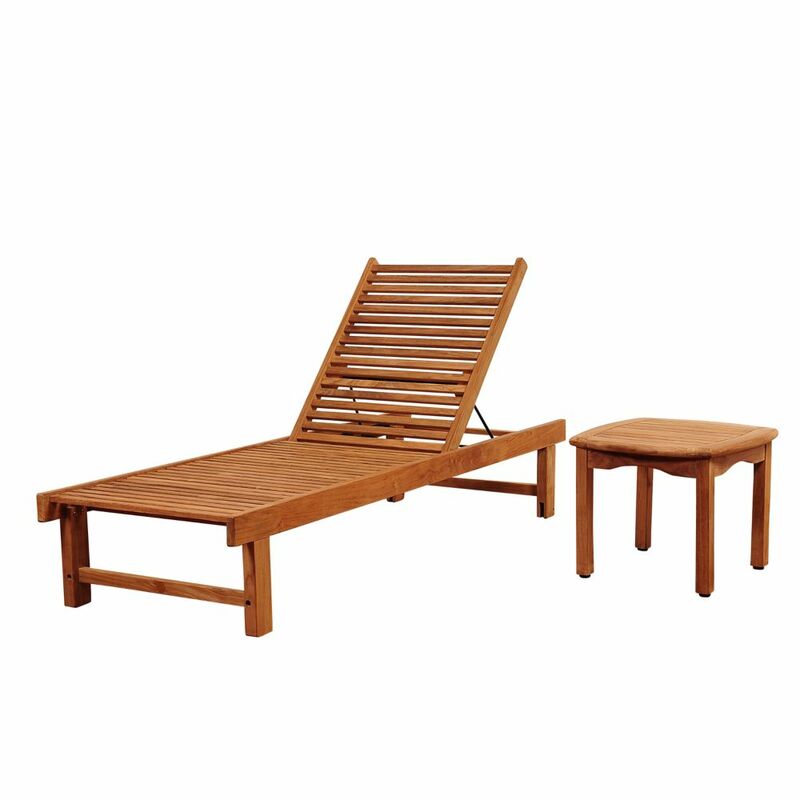 Radcliffe 2-Piece Teak Patio Lounger Set The Amazonia Teak sophisticated line combines quality, style, and comfort. Crafted of high quality teak (Tectona Grandis), this modern furniture collection will make an immediate impact in your patio.